MOOCs offer industry personnel a chance to learn about the business while investing far less time or money. And since these courses are online, material can be updated in real time to reflect the latest industry developments. SnapShot and ESSEC Business School, the company’s partner in developing the online course, plan to hold quarterly webinars, so hospitality students can stay updated on the latest industry developments. For this reason, MOOCs could become especially valuable to the next generation of general managers, revenue managers, and demand managers, helping them better understand the industry as it develops. "MOOCs offer industry personnel a chance to learn about the business while investing far less time or money. And since these courses are online, material can be updated in real time to reflect the latest industry developments." One company spearheading real-time industry education is SnapShot, a Berlin-based hotel analytics company. 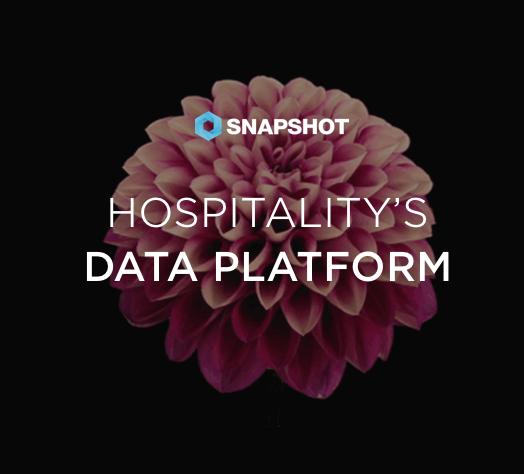 SnapShot primarily offers hotel data analytics and dashboards that present those analytics. Though they've also come to offer an impressive amount of free educational resources through MOOCs, webinars, and bootcamps. According to SnapShot’s Chief Operating Officer, David Turnbull, creating new tools also demands useful guidance in the best applications of new technologies. Here's what he had to say about the importance of a new kind of educational initiative in hospitality. “Our approach from day one has been to build each aspect of our product from a consultative and educational point of view. Even the way that we display data and trends is built from an informative, educational perspective." From Turnbull’s impetus here the question arises; “Why is this hotel tech startup, with no direct educational products, interested in education?" To discover the answer we asked Peter O’Connor, Dean of Academic Programs at ESSEC Business School to explain. Turnbull continued, offering an example of how interdepartmental conflict could be resolved through better access to information. “Imagine a revenue manager. They are usually focused on the revenue generated per stay date. On the other hand, an ecommerce manager couldn't care less- for them it's all about the revenue generated by booking date. So, here we have two highly influential stakeholders within one hotel building that aren't even aligned in their common objectives." This discussion highlights an industry-wide dual opportunity and challenge, where technological savvy shapes success. Easily digestible educational content seems to be a powerful method for bringing operations up-to-date. It seems appropriate to recall here, how hotels were basically forced to plug into the digital landscape, even before online travel agencies (OTAs) dominated the scene. Now TripAdvisor, OTAs, social media, mobile ads, and resident website traffic play crucial roles in the whole booking-revenue scheme. How will education boost operations past these hurdles? “We are entering a new era in the industry where hospitality is part of a data economy,” according to David Turnbull. The industry has gone through major changes in the last five years, yet senior management still often focuses on short term profit over longterm gains. It may well be that the future generation of industry leaders - the general managers, receptionists, and back office personnel who make up the majority of this MOOC's students - are the ones who shape hospitality next. The new “data economy” turns on its head the current hotel operational model. Today, hotels must think about how they work with data to strengthen their customer experience and generate revenue and stakeholder return. SnapShot’s future educational plans highlight the company’s ambition in moving the industry forward. The company is currently working with their local partner in China in developing a Mandarin-language version of the Demand Management MOOC to be launched sometime in 2016. With this in mind, the long term strategy comes into view. One where a technology company empowers future industry leaders with useful information and tools in the early stages of their careers, helping them make better, more informed decisions, and improving the industry overall.